Two new utility models were introduced in May. 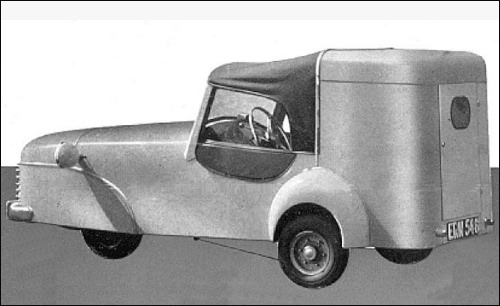 A larger, upright rear body give the Minitruck carrying capacity of 24 cubic feet or a payload of 3 cwt. 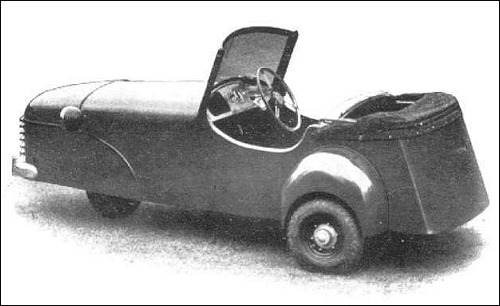 and the hood has a roll-up flap at the rear. A single seat only for the driver is fitted. The Minivan has the same carrying capacity and payload as the Minitruck, but has a built-in compartment with a door at the rear, hood/sidescreens and a bench type front seat for the driver. 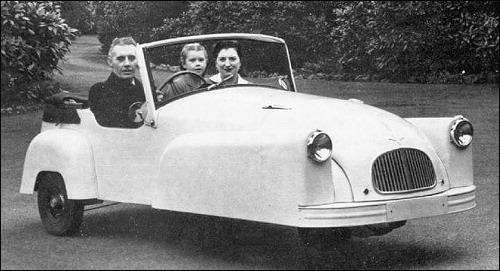 In August 1952 The Family "Safety Saloon" joined the range of Bond three-wheelers. It use the enclosed Minivan body and rear door, but also has side windows and inward-facing rear seats fitted. 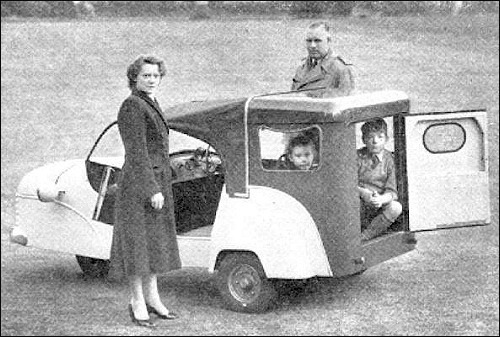 This give enough room for two adults, with two small children. The Mark C was introduced in October. The basic model Standard Tourer is still a 2/3 seater featuring a reshaped body with headlamps mounted in the front wings, a Villiers 6E 197cc engine and a 3 speed direct change gearbox. It has a tubular front engine mounting with the front wheel mounted on a trailing arm and a new worm and sector steering. The rear suspension is by Flexitor bonded rubber units and the brakes are now on all three wheels. For the first time the car is equipped with a stop light. 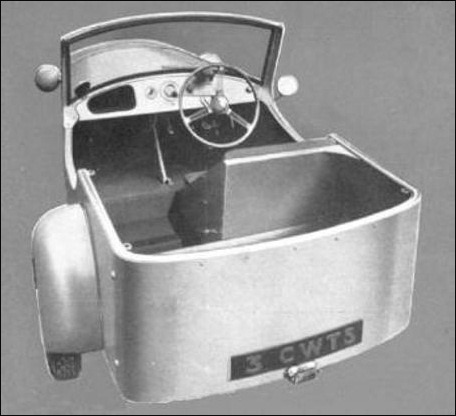 An electric starter is available on the Deluxe Tourer. Vehicle length 9' 10", width 4' 9", height 4' 0" and weight 460 lb.